Salesforce have a history of dropping a huge amount of cash on acquiring businesses that they can seamlessly integrate into their existing suite of products. 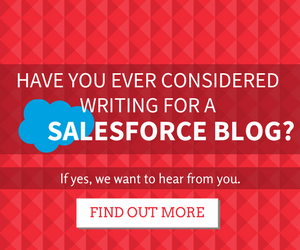 You may not know this, but the everyday features you are using in Salesforce may not have been developed in house and are in fact the brainchild of entrepreneurs else where. This seems to be a pretty effective model for Salesforce. Instead of trying to develop something they are inexperienced at, they acquire the product, the employees and all the knowledge that comes with them. Jigsaw was acquired by Salesforce back in 2010. Jigsaw was a crowd-sourced data service, this means that users will submit and provide accurate details for companies and their employees. This service was primarily used for Sales organisations that were looking to contact a specific member of a team within a company. However, since June 2011 Salesforce repackaged Jigsaw as a product you may be more familiar with, Data.com! 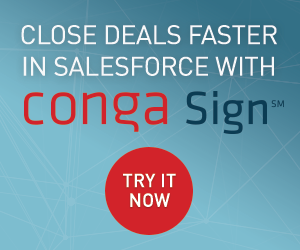 Jigsaw was initially provided as an app on the AppExchange but Salesforce took it one step further and made is seamlessly integrate with Salesforce Leads, Accounts & Contacts. By paying for a Data.com license, you can now clean and update your own records with polished Data.com records. As well as cleaning up existing records, Data.com also allows you to look into new accounts and contacts by filtering them by various fields, these can then be directly added to Salesforce. Salesforce acquired Heroku in 2010 and is a cloud PaaS (Platform as a Service) that primarily supported Ruby and as Mark Benioff said “Ruby is the language of Cloud 2, and Heroku is the leading Ruby application platform-as-a-service”. Since 2010 when Salesforce acquired Heroku, they have added supported for Java, Node.js, Scala, Clojure, Python, PHP and Perl. Back in 2010 Heroku was powering over 105,000 next generation cloud apps and Salesforce acquired them to be seen as the platform as choice for developers to build these Apps. Salesforce have kept the Heroku branding and offer this service in a different package to Salesforce.com. Radian 6 was acquired by Salesforce at the start of 2011. Radion6 is a seriously cool piece of kit and provides a suite of social media monitoring tools and is described as a “monitoring platform”. Businesses can use Radian6 to monitor what is being said about their business or product, how the public is reacting and builds a picture about whether the reaction if negative or positive. Salesforce have integrated Radian6 into their ExactTarget Marketing Cloud that is one of their newer products. SteelBrick is Salesforce’s latest acquisition, this one really got the industry talking and has the potential to be a game changer in more ways that one. SteelBrick competed in the heavily contested Quote-to-Cash space, that helps customers deliver a complete quote via CPQ and other tools to help the Sales and invoicing process. Why was this such a shocking acquisition? RelatedIQ is one of Salesforce’ biggest and more recent acquisitions, which was purchased back in July 2014. RelatedIQ uses large-scale data-mining technologies to automate relationship tracking in the enterprise and CRM world. 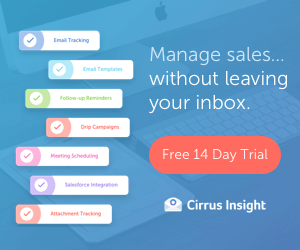 It does this by searching unstructured data from emails, social networks and calendars to automate parts of the Sales process. Salesforce haven’t released any concrete plans for RelateIQ but it is clear that they plan to integrate this into their Sales cloud product to be able to create insights and intelligent automation. In fact Marc Benioff has been quoted saying, “One of the key reasons we bought RelateIQ. It really makes SalesCloud so much better.”. Watch this space! Although the amount varies a lot ($600M-800M+), Salesforce acquired BuddyMedia for a huge sum of money. When purchased, Buddy Media was the leading social media publishing platform working with over 1,000 of the worlds largest companies. Buddy Media allows you to target and publish polls, offers and any other content to drive brand engagement. You can also easily measure the effectiveness of your campaigns with reporting on conversions and social presence. Buddy Media was purchased by Salesforce to nearly complete the puzzle to their Marketing cloud. With Radian6 to listen and with Buddy Media to publish, Salesforce can pretty much offer companies a full suite of products to listen, engage, publish and report on. But there is one thing missing..
With 4x the amount spent on Buddy Media, Salesforce acquired ExactTarget back in early 2013 for $2.5 Billion! ExactTarget is a provider of digital marketing automation and analytics software it helps companies plan and manage their digital marketing campaigns along with Email and SMS communications. ExactTarget IS the Salesforce Marketing cloud and completes the puzzle of Salesforce’ missing arm. Along with BuddyMedia and Radian6 which are bolt ons for the ExactTarget MarketingCloud, Salesforce can completely manage the sales cycle with their CRM and help companies publish and promote their brand with the Marketing Cloud. As of today (1st June 2016), Salesforce have acquired Demandware to create an entirely new cloud to add to their product suite. Demandware is a cloud based provisor of e-commerce services to large and small businesses and is Salesforce’s largest acquisition ever. You can kind of think of Demandware as the Salesforce of e-commerce, they allow you to leverage their complete cloud platform to manage your digital stores. From today, Salesforce have also announced their new Commerce Cloud that will sit among their other offerings. Get ready to be immersed into a completely new product! Pardot didn’t make the list? I believe Pardot was actually acquired by ExactTarget before they were acquired by Salesforce.